sailboat. : Monthly Favourites: June Two Thousand and Twelve. I'm still not completely sure how to incorporate my videos into my blog posts; I asked a little while ago whether you would prefer me to include some pictures of the products I'm talking about in the video in a blog post with the video embedded at the end or if you would still like me to include a little bit of writing as well and the majority said you would prefer a bit of writing as well as the photographs and video. My blog is my baby, it will always come before making videos so I hope that this is the perfect way to incorporate both - let me know what you would prefer! Honestly, I cannot believe I'm writing out my June favourites post, when on earth did it get to July?! In my head it's still January and unfortunately no one seems to have told the British weather that it's summer now because it seems to have rained continuously for the past month! 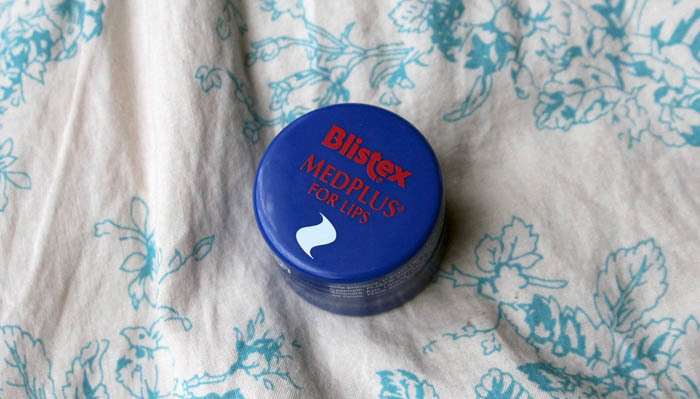 Blistex is my all time favourite lip balm brand and their products never seem to fail me so when I finally found the Blistex MedPlus for Lips hiding in the supermarket I had to pick one up because I have searched high and low for this little tub of loveliness! For some reason I never really see this for sale anywhere but I had heard such good things about it and I'm so glad I finally found one. This is absolutely the best lip balm I have ever used, if it has managed to sort out my stupidly dry lips I'm pretty sure it's a little miracle worker! It's certainly no secret that I'm a huge fan of facial mists; I think they're perfect for refreshing make up throughout the day and just generally feeling super nice on the skin. 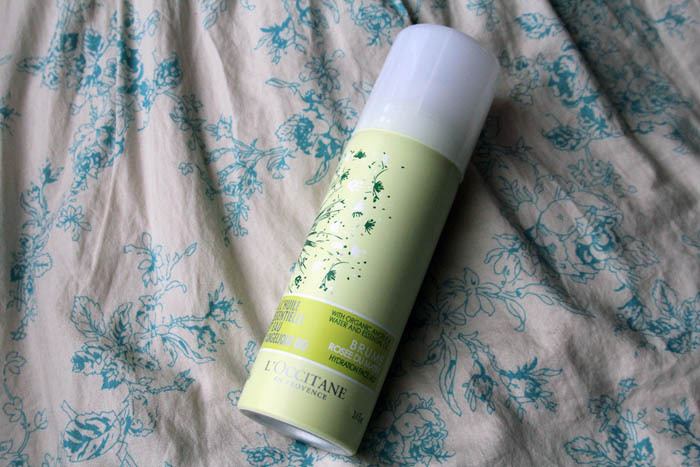 The L'Occitane Angelica Hydrating Face Mist♦ is the newest addition to my little collection and I have completely fallen in love with it. I've been using this before applying my make up, directly after if I've gone a little crazy with the powder and throughout the day when I've been feeling a little worse for wear and I'm in need of a little pick me up. This is so hydrating and I don't think that L'Occitane as a brand ever disappoint me. There are two things I don't like about this product though; the first is the scent which I'm not the biggest fan of, it's okay and it doesn't seem to linger on the skin so it's totally bearable. The second thing is the price, this baby is £15 and there's no denying that the price tag puts it on the more expensive side. As a little treat every now and again I would recommend this a million percent! My next favourite is one that I was almost hoping I wasn't going to fall in love with because it is quite expensive. 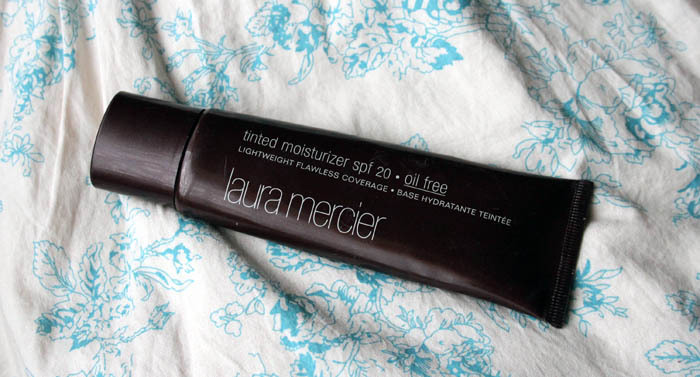 Lydia very kindly offered her almost finished tube of the Laura Mercier Tinted Moisturiser in the shade porcelain to me so I could see if the colour was right and it's pretty much the perfect match. The coverage is light but it's perfect with a little concealer and it feels so weightless on the skin. Yep, I'm totally head over heels for it. It's way more expensive, at a whopping £33, than I would like to spend on a make up item but you do get 50ml of product which is quite a lot more than a standard 30ml foundation bottle. The only question now is when will I cave and purchase my own bottle? I bet it won't be long! In a bid to get in a more summery mood & now that the pink ombre is almost completely gone from my hair I have been reaching for more peachy blush shades. Pink hair and peach make up just did not look good on me so I'm happy to be able to use some neglected products again. NARS Penny Lane cream blush is the most perfect neutral shade that I'm pretty sure would look so lovely on a whole range of different skin tones. The formula is a cream to powder and lasts all day on my skin. Over the top of that, because one blush is clearly not enough for me, I have been putting a bit of Peaches and Cream from Vivo's baked blush range. This is such a gorgeous and ridiculously affordable peach blush that blends so easily and doesn't look chalky. This has been my favourite combination for such a long time and I think I'll be reaching for it all summer long! 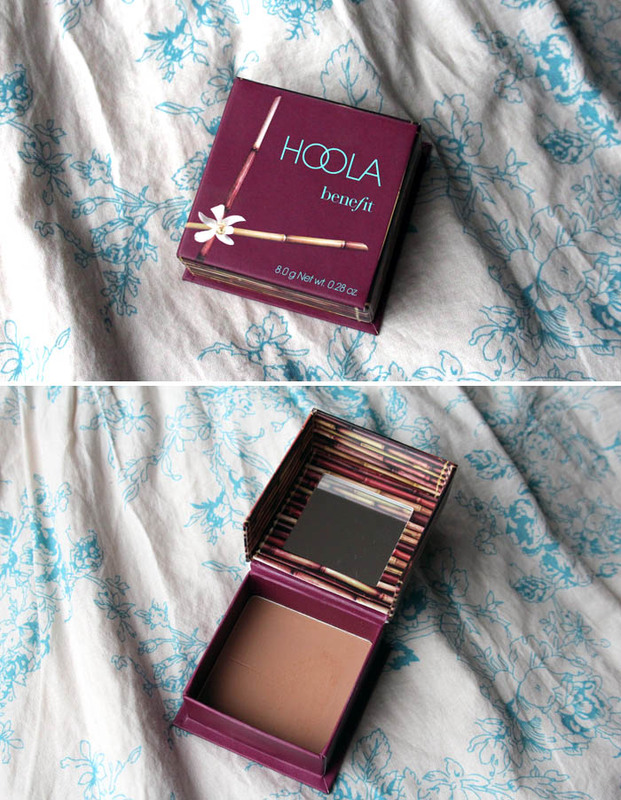 Another product I have been reaching for a lot to get in the summery mood is Hoola bronzer from Benefit. There's no denying this is dark, especially in comparison with my fair skin but with a light hand and a bit of blending I think Hoola works perfectly. I've been applying it with an Eyes Lips Face Complexion brush and they seem to work perfectly together; I don't get a stripe of bronzer and it never applies too much at once. This is definitely one of those products I have to build up slowly but it's totally worth the work because it looks so natural. It's pricey at £23.50 but I'm fairly sure this will last me forever! This year was the year I finally purchased my first ever highlight product and I have been reaching for it pretty much almost every day because my make up doesn't seem to feel complete without it. The Jemma Kidd Dewy Glow All Over Radiance Creme in Iced Gold has had a lot of hype in the bloggersphere recently but it's all totally deserved. 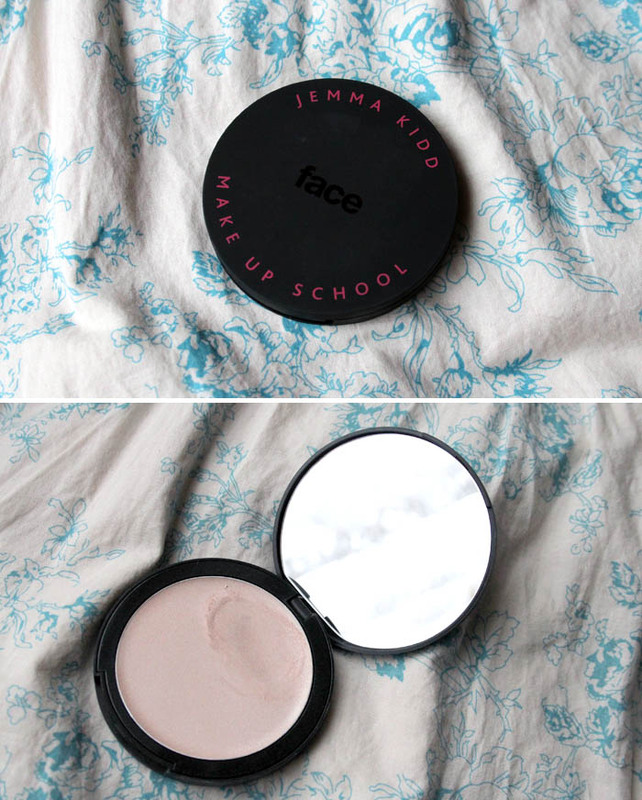 It always looks so natural and gives you the perfect healthy glow without making you look oily. I think it's absolutely beautiful! 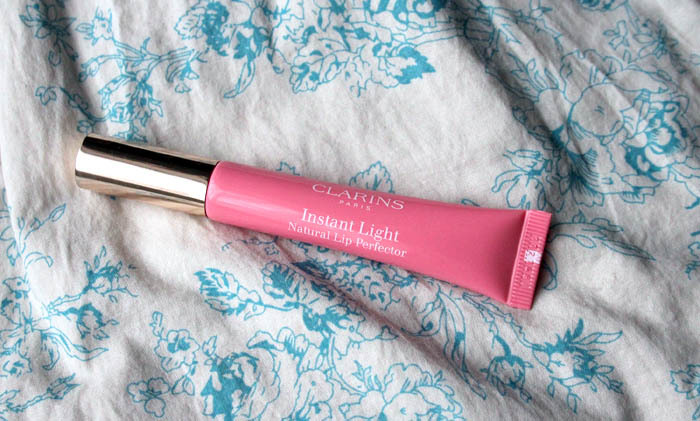 A product I have been rambling away about way too much recently is the Clarins Instant Light Natural Lip Perfector in the shade Rose Shimmer but I just have to mention it again because it's the perfect lipgloss ever. Firstly I love that it's not sticky at all and it seems to have some magical ability to make your lips look full, hydrated, glossy and most of all, totally natural. It also smells like caramel which is a bit of a Brucey bonus and I have recently bought the other two shades because I found myself reaching for this one all of the time! My final favourite from June, and one which I'm sure will continue to be a favourite all throughout summer is a fragrance and it's Daisy Eau So Fresh from Marc Jacobs. I was never a fan of the original Daisy fragrance, I don't think it suited me at all but this one smells just like parma violets and I'm completely in love with it. The bottle is stunning as are all of the Marc Jacobs fragrances and I just think this is the most perfect summer scent. Now all we need is some sunshine! What were your absolute favourite products during last month? Do you have a favourite summer scent? I'd love to know! 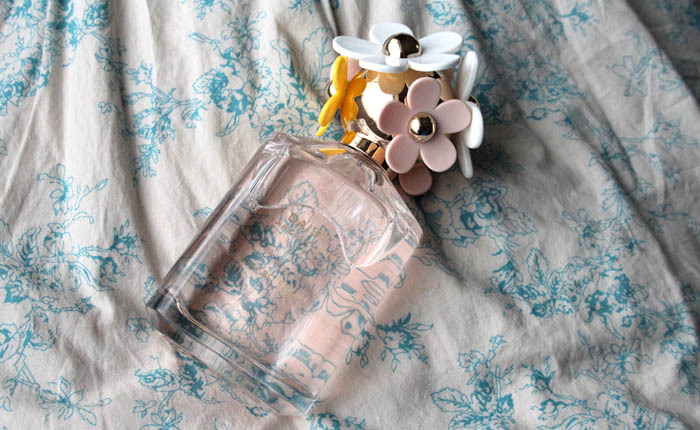 I love Marc Jacobs daisy eau so freh. It smells amazing. Please check out my monthly favorites. 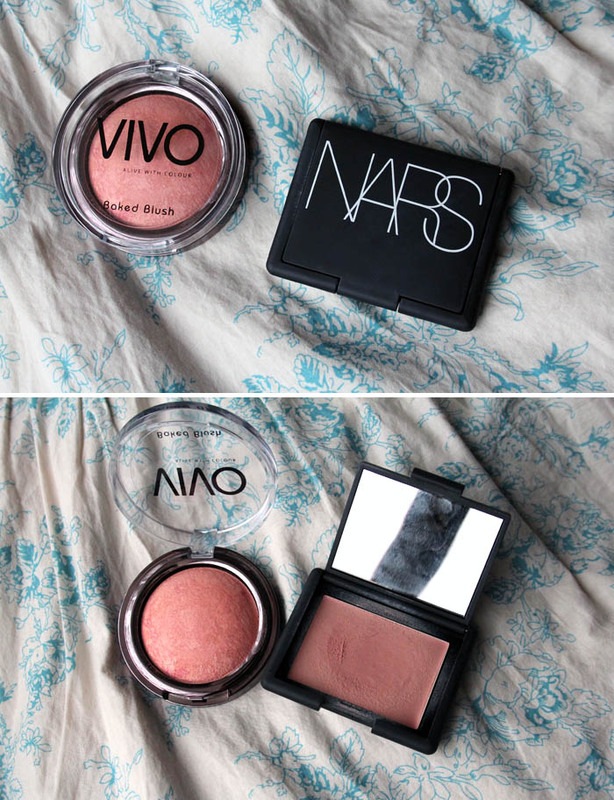 I've been itching to try both a Nars blush and Hoola by Benefit! Not sure how Hoola would work against my skin, though, it may be barely noticeable as I have a medium-dark complexion. I love these sorts of posts, it always makes me want to go out and buy everything though! so many things on here that i want to try! really want to try the LM tinted moisturiser and the JK highlighter! Those lipglosses are also tempting!! Really do recommend them all, especially the clarins glosses! 'brucey bonus' really made me laugh for some reason! I've never liked the original daisy either, I've always thought it was really overrated, but I might try this one, I love anything that smells of violets! And I agree, that lipbalm is amazing!